More than 100 people have been buried alive in a massive landslide, according to state media. Chinese media reports at least 40 homes in the village of Xinmo have also been destroyed by the natural disaster in the Maoxian County of China's Sichuan Province. In a statement, the Maoxian government said that the homes were swallowed by cascading debris after the side of the mountain collapsed, blocking a two kilometre stretch of river. A report from the state news agency Xinhua also said that "part of a mountain" in the Tibetan and Qiang Autonomous Prefecture of Aba had collapsed. The incident was reportedly triggered by heavy rain around 6am local time. An emergency response "to the first class catastrophic geological disaster" is under way. Pictures posted on Twitter by the People's Daily newspaper show bulldozers moving earth and large boulders as the rescue effort continues. The mountainous region - known for its ancient stone castles, dense forests, torrential streams and valleys - is located on the Minjiang River. Meanwhile Torrential rain lashed parts of central China's Hunan and Hubei provinces over the past two days, with flooding affecting at least 390,000 people. In western and northern Hunan, heavy rain triggered flash floods, damaging mountain roads and raising the risk of landslides, the provincial flood control and drought relief headquarters said Friday. The storms, the heaviest this summer, brought over 160 mm of rainfall in some areas in just one day. In Yueyang, 47 small and medium-sized reservoirs overflowed. Heavy rain is forecast to continue in Hunan in the next five days. In Xianning of Hubei, rain-triggered power outages affected 30,000 households. But by Friday evening, power have been restored to 87 percent of the households. In Chongyang county of Xianning, floods affected over 50,000 people and damaged around 4,660 hectares of crops. Meanwhile, 26 small reservoirs overflowed. 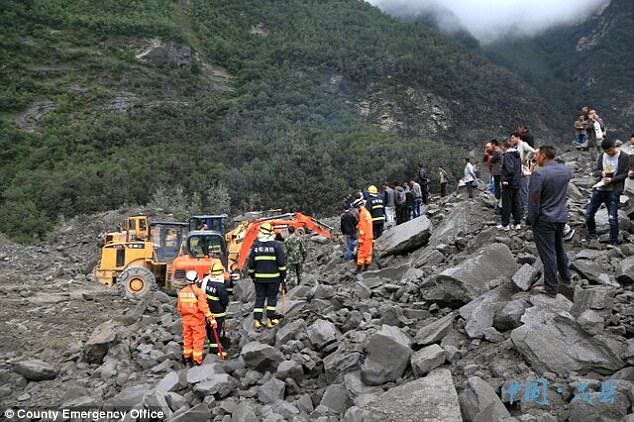 In Puge county of southwest China's Sichuan Province, rain-triggered landslides left two villagers dead and one missing early Friday morning. Four more were injured but were in stable condition after emergency treatment.